Just to offer a bit more on how we can get agreement on an Ideal Vision from all kinds of people, take a look at an article I wrote. It won an international prize (from an organisation that no longer exists). Worth a read - even if I say so! The most critical question for any organisation today is: "Can we operate in a sustainable way?" And following close behind: "How do we know we're sustainable?" and "Can we prove it?" First we have to define sustainability in a way that everyone agrees, otherwise we are leaving the door open to disputation and 'greenwash'. There is only one way that I know to define it and that's to define an ideal world that we and our grandchildren's children would be happy to live in. This was the idea of Professor Emeritus Roger Kaufman (of Florida State University) in 1992. But wait a minute, isn't that too 'idealistic' - we're never going to get all that! Maybe we never will, but let's aim for it, we'll get closer as we go. If we are going to make this vision a reality (not greenwash) then everything in it must be measureable - and these things are. You can count wars, accidents, pollution (already happens), and you can survey people about happines (as in Nepal and elsewhere) and wellbeing (already done). All of this adds up to what Kaufman called a "Minimum Ideal Vision". Accept that as your guiding star, add to any local flavour that fits for you (but doesn't contradict it) and you're started: you have a direction, you know where you're going. You remember our promotion of Earth Hour, the switch off of power in Sydney, Australia (and elsewhere)? Did you notice that Earth Hour won the Lions International Advertising Festival (held at Cannes, France)? There were just four awards for the most innovative programs out of 25,000 entries from around the world. The drop in power in Sydney was a signal to business - get sustainable, make it your direction, more and more of us want it and are ready to change brands to get it! "The green issue, once you get it, is one of those things. Once you understand the extent to which the human race is in peril, it makes you ask different questions. Those questions present a profound threat to business and brands because you must increasingly ask - what is the point of brands?" Q: How are we therefore arriving at the Priority issues for a Manager? A: There are two quite different ways to do this in 360 Facilitated. In the non-facilitated process, we look at the averages, the splits in the team's responses - why some are saying 'do more' and other 'do less' about the same item, and we do our best to understand what the respondents had in mind as they filled in the boxes. Unfortunately, no questionnaire on its own can do more than that - at least 360 Facilitated talks behaviours, so there is immediate guidance about what to do. With experience, we make good guesses and help managers perceive the appreciation in the profile and see the benefits in the change suggested. In the best circumstances, we ask them to sit down with their team and ask them about the feedback "what did you mean when you said that I should...". Of course that takes courage for both manager and team. The manager may want to defend his/her position, the team may be afraid of the manager - or even not want to hurt his/her feelings. To do this well, a manager requires a good level of communication skills - which they may not have. In contrast, when we are working with the team facilitated process, we go back and ask the respondents (with the manager out of the room) what they meant. We even help them get a shared and deeper understanding of what might be important to them. And we get them to focus on what's working - not on what isn't. This process of Appreciative Inquiry (AI) boosts morale all round and gets people wanting positive change. With the manager back in the room, the priorities are easily identified by the group and all of the creativity and goodwill is mobilised to deal with them - together. We have always supported the thesis that everyone is a leader – at some time, in some area of their work – and that leadership is a major part of every manager’s job. The interest that continues to grow about the ‘need for leadership’ is a reflection of the fact that in hierarchical organizations the CEO and a few bosses are supposed to lead, the rest had better hang on to their jobs (which becomes their main preoccupation). It has to be this concept that explains the extraordinary powers believed to reside in CEOs and the overblown salaries they have to be paid to get them. It also explains why so many of them lead organizations that are ultimately unsuccessful or are restructured to give the appearance of being successful until the day they leave. Amusingly, at a public lecture by Grahame Maher then CEO of Vodafone Australia and doing a great job, I asked the question "Can we attract CEOs like you by offering them a lot of money?" It was the last question of the evening. Grahame paused. There was total silence in the room. Then he responded "No." End of story. To continue: because of our belief in Heroic Leadership, that Heros are going to get us out of trouble, any useful feedback model has to begin at the top. The advantage of using the Leader/Manager Model is that half of it is about leadership, it's not a new discovery. The rest is about management - we still need that! A truly great leader (manager) will seek to encourage leadership at all levels and demonstrate how this is done, without feeling threatened by all the talent below. One result of the leadership trend is the development of leadership questionnaires for managers. Some of these are actually upgraded management questionnaires, while others go all out for leadership. With the latter we have the likelihood of producing a new breed of leaders who can vastly influence us towards a new and better future – but who can’t manage the present structure long enough for us to get there. Q: Here’s a question for you. The manager in this case [whose profile I'm dealing with] was the acting manager [in an upsetting situation] and, after the profile was generated, got pushed back into the team and replaced with another member, now the permanent manager. I think the profile is still useful. But in this situation should I still conduct the session according to plan by sending out the acting manager [the 'recipient'] and keeping the new one in as part of the team discussion, or should I conduct the Team Session differently, or should I send out both old and new managers? A: If you believe the profile is still relevant or isn't going to be rerun, then I suggest you present the feedback yourself - no managers. In this situation it makes it easier for the team to be less upset about the past and concentrate on how they would like to be managed - this should be the focus. If you find there is conflict within the group, perhaps divided loyalties, it could take more than one session to resolve. Once you get something worked out in the way of Desired Outcome and specific objectives for the group, then bring in the new broom (manager) to work with them and brainstorm how to do it. Make sure s/he is not unduly pressured, and fully agrees and signs off on everything. Facilitating the team’s discussion on their own is still best way to get accurate information, and then use it to build manager-team harmony and, in this case, intra-team harmony. It's good to hear that the Senior Civil Service in UK has taken on a 360 degree feedback tool. They will be getting feedback on ‘how others in the team perceive their performance’ in five areas they consider are key: Strives, Communicates, Helps, Observes and Results. The focus is stated to be on 'leadership behaviour' and the feedback is intended to test how others perceive this in the team, how it translates into results, and how the recipient's work priorities match others’ expectations. Also how other perceive their behavioural style, and the impact they have on others. [I have added a comment on this below]. The UK’s National School of Government has put this together for Civil Service leaders based on the Cabinet Secretary’s new framework of leadership expectations and the requirements of Professional Skills for Government (PSG). The profile includes the priorities for attention and also a mandatory coaching interview to interpret the results. Cost is reasonable. Comment: it's always interesting to compare other 360 tools with the holistic Leader/Manager Model. As far as one can tell, 'Strives' is in Task Leadership, 'Communicates' is in People Leadership, 'Helps' is in People Management, 'Observes' is in People Management, and 'Results' is in Task Management. In contrast to many 360s it does at least have elements in all four quadrants (though how well each is covered is another matter). It is interesting to note, however, that 3/5 of it seems to be about Management and only 2/5 about Leadership. Maybe that's just as well! Anyway, it's a big step forward, and the coaching interview is a critical element. "Our world, at all levels, is undergoing a fundamental creative reordering necessary for sustainability. The deeper creative process we are in has complex and organic underlying patterns of violence, disruption, and death and, at the same time, creativity, synthesis, and integration. In such chaos, our institutions flounder and seem unable to solve the problems of today. International crisis after crisis threatens our way of life. "We live in a time when one only has to read the daily newspaper or watch CNN for an hour to see endless expressions of wickedness, tragedy, and corruption and the fear, despair, horror, and insanity in our world and, tragically, even in our schools. These realities trigger deep personal fears and anxieties of betrayal, insecurity, hopelessness, helplessness, and even death. "The bravest amongst us-locally and globally--in our institutions and our organizations--including our schools--will step boldly into the mystery of life with no preconceived solutions and will create the future-learning and adapting as they proceed. They will take the best of the old and merge it with the new to create sustainable new enterprises. We may soon look back on our world and our institutions-including our schools-and wonder how we could have been so primitive." Heuerman then introduces one the concepts that plague our organisations today: "Our traditional model of leadership looks for the hero to lead us in times of chaos and crisis. In his book Leadership James MacGregor Burns described heroic leadership as a relationship between leader and follower in which followers place great faith, often unfounded, in the heroes ability to overcome obstacles and crises. The followers avoid personal responsibility by projecting their fears, aggressions, and aspirations onto the hero as a symbolic solution to the conflict inherent in transformation. "Heroic leadership is to be distinguished from The Hero's Journey I mentioned earlier. The Hero's Journey expands the spirit of the traveler and of those impacted by the Hero. Heroic leadership, on the other hand, ultimately diminishes the spirit of the leader and the follower. "Instead of looking for heroic leaders to save us, each of us needs to be a hero or heroine. The call today asks for courageous and authentic people to connect with one another, to convene others, and to welcome and honor diversity to bring form to the creative potential of the times in which we live. "Why authenticity and courage now? Because only by freeing the mental, emotional, and spiritual potentials within us and connecting our energy with that of others can we overcome darker forces within humankind and create the light that is possible for all people in this world. "Authenticity is the expression of our beliefs into action--the intrapersonal congruency of ideas and behaviors-personally, professionally, and organizationally. "Authenticity is not the norm in our society or in our organizations. "Authenticity is speaking, however dimly, to more and more of us, calling us to recognize the pervasiveness of the new inauthenticity. Something is not right and we sense that what is not right is expressing itself in many forms, from global issues to personal concerns. We have an intuitive sense of disconnection from the very institutions and people we believe we should be connected with. "I consulted with a department in a company in Maine. They had been through lots of difficult changes in their operations. The manager had driven the change. People were mad. One said, "I went to the doctor. I wished for cancer. Not because I wanted to be sick. But because I didn't want to go to work." "I met with the group. The room was tense as the meeting began. An employee expressed his anger about how the changes had been handled-with no regard for the emotional and physical impact on employees. The room got tenser. People looked at the manager. He looked at the group, hesitated, and said, "I had no idea how my behavior had impacted each of you. I am so sorry." "The room went silence. Privately, I felt relieved. I knew that this authentic moment would change the whole dynamic of the meeting. I also knew that this manager would never be the same. "The meeting went on for two hours and we enjoyed a wonderful exchange of authentic emotion, thoughts, and ideas. The connection was electric and healing. "Two years later I met with the group again. I knew generally that things had gone well but didn't know much beyond that. I asked the people to go around the room and tell me what had gone on since we were last together. For two hours they told story after story about how relationships among them and with the manager had improved-I hadn't asked them to talk about relationships. I felt inspired by how things had changed. Oh, by the way, the manager had been promoted and the department was setting records for customer service." And, once more, I have to say, we see the full justification for Upward Feedback in all our organisations. 360 Facilitated® has been called the simplest way to bring about team and culture change, hence this section to rethink what we are about, giving some real answers to some of the real questions that come in. Q: How does the manager make use of the Leader/Manager Types™ instrument? A: There are thirty short questions in the L/M instrument – the kind where you have to choose between A and B (sometimes it's which one do you hate the least!). There’s a check on your years of experience and then you print the results. The manager brings the printout to the Debrief session with the Facilitator. The manager's job is to compare their preferred style on the Leader/Manager Types profile with the 'suggested change' from others that they see on their 360 Facilitated profile. Often there is a clear connection – e.g. the manager who prefers Task Leadership may have 'suggested change' concentrated in People Management - the opposite corner of the framework, and so on. It’s a useful model, offering just 8 Types of manager, and has also value when used on its own. It even has value when used with a set of competencies from an unrelated custom questionnaire. It certainly gets managers thinking about how they manage, how they relate to others and what they might do differently with their team - and with different teams. And that is always valuable. And then, if you can get the results for a team of managers, we can plot them for you on a Map. When you look at a group of managers, you may understand a lot about how they interact - the synergies, the antipathies, and even the gaps in the group's performance. They also suggest that the UN's Intergovernmental Panel on Climate Change (IPCC) underestimates the scale of sea-level rises this century, that it will be not 40 centimetres but several metres. They see planet Earth as in ‘imminent peril’. In an article in The Independent, Steve Connor writes that “Six scientists from some of the leading scientific institutions in the United States have publised this in a scientific paper in the Philosophical Transactions of the Royal Society. They call it the ‘gravest threat’ of climate change. "Recent greenhouse gas emissions place the Earth perilously close to dramatic climate change that could run out of control, with great dangers for humans and other creatures, the scientists say. Only intense efforts to curb man-made emissions of carbon dioxide emissions and other greenhouse gases can keep the climate within or near the range of the past one million years, they add. “The researchers were led by James Hansen, the director of Nasa's Goddard Institute for Space Studies, who was the first scientist to warn the US Congress about global warming. “The other scientists were Makiko Sato, Pushker Kharecha and Gary Russell, also of the Goddard Institute, David Lea of the University of California, Santa Barbara, and Mark Siddall of the Lamont-Doherty Earth Observatory at Columbia University in New York. “The unnatural ‘forcing’ of the climate as a result of man-made emissions of carbon dioxide and other greenhouse gases threatens to generate a ‘flip’ in the climate that could "spark a cataclysm" in the massive ice sheets of Antarctica and Greenland, the scientists write. "Dramatic flips in the climate have occurred in the past but none has happened since the development of complex human societies and civilisation, which are unlikely to survive the same sort of environmental changes if they occurred now. "Civilisation developed, and constructed extensive infrastructure, during a period of unusual climate stability, the Holocene, now almost 12,000 years in duration. That period is about to end, the scientists warn. Humanity cannot afford to burn the Earth's remaining underground reserves of fossil fuel. To do so would guarantee dramatic climate change, yielding a different planet from the one on which civilisation developed and for which extensive physical infrastructure has been built, they say. “Dr Hansen said we have about 10 years to put into effect the draconian measures needed to curb CO2 emissions quickly enough to avert a dangerous rise in global temperature. Otherwise, the extra heat could trigger the rapid melting of polar ice sheets, made far worse by the 'albedo flip' - when the sunlight reflected by white ice is suddenly absorbed as ice melts to become the dark surface of open water. “The glaciers and ice sheets of Greenland in the northern hemisphere, and the western Antarctic ice sheet in the south, both show signs of the rapid changes predicted with rising temperatures. “The albedo flip property of ice/water provides a trigger mechanism. If the trigger mechanism is engaged long enough, multiple dynamical feedbacks will cause ice sheet collapse, the scientists say, and we argue that the required persistence for this trigger mechanism is at most a century, probably less. "The latest assessment of the IPCC published earlier this year predicts little or no contribution to 21st century sea level from Greenland or Antarctica, but the six scientists dispute this interpretation saying that The IPCC analyses and projections do not well account for the nonlinear physics of wet ice sheet disintegration, ice streams and eroding ice shelves, nor are they consistent with the palaeoclimate evidence we have presented for the absence of discernible lag between ice sheet forcing and sea-level rise. “Their study looked back over more than 400,000 years of climate records from deep ice cores and found evidence to suggest that rapid climate change over a period of centuries, or even decades, have in the past occurred once the world began to heat up and ice sheets started melting. It is not possible to assess the dangerous level of man-made greenhouse gases. "However, it is much lower than has commonly been assumed. If we have not already passed the dangerous level, the energy infrastructure in place ensures that we will pass it within several decades, the scientists say in their findings. What could be more useful to a consultant than to know how s/he really thinks about their role, and what that could mean for their success? Now look at this more broadly, we are all consultants at one time or another, to our friends, co-workers and, most importantly, to our children. Peter Farey's Leader/Manager Model defines Eight Types of Consultant - none of which is better than the others! But none of the eight is appropriate in every situation. In fact, we need some flexibility: consultants to deal with their different kinds of client, parents with their different children at different ages. And talking about consultants, if you're working in a group, why not everyone do it - and then compare results. We can actually map this for you. I could say lots more about this simple tool. But instead, take a look, it's quick, simple, costs nothing - you don't even have to give your name! And its on the 360 Facilitated® website at www.360facilitated.com. You're invited. I think you'll like it. 360 Facilitated® has been called the simplest way to bring about team and culture change and, for that reason, it causes us to rethink what we are about and raises many questions. We thought a Q&A section with real answers to real questions we have received could be useful, starting now. Q: While the scale from 'Do less' to 'Do more' will give us an idea of what the staff or other respondents expect us to do, would it also tell us where the Manager is actually placed (as of now) on the 4 quadrants? A: The scale does not really "place" the Manager except in the perception of the team (or peers) at a moment in time. Instead, the whole process is designed to get the manager to confront the reality of how they are perceived by others, and then engage in an open dialogue with the respondents. They can then overcome limitations and misunderstandings and improve together. The process brings out everyone's contribution and leads to action plans for all parties and learning as well. I sympathise with your question because we are all so used to assessing/appraising managers. However, experience shows that assessing managers does not necessarily motivate them to improve, it is often the opposite. Why? Because they may think the assessment is unfair (lacking in knowledge of what the manager is actually doing, or of what competencies they have), or it could be affected by an inexperienced team or by poor organizational procedures. Hence "360" programs have often caused a fair degree of disruption in organizations (for several years our company operated as 'Upward Feedback®', hoping to separate ourselves from this). We take a different approach. We are saying: let’s put all our requirements on the table (including those that the manager has of the team) and work together to meet them. There will be learning for all in this process and at the end of the day we will have created a real team, working constructively and openly together. The difference lies in the outcome you want. Is it just to be able to categorise managers - Who is good, and How good, for What? This is an important result and there are ways to achieve it, however, what we are aiming for here is real organizational, cultural and personal change. In an organization where communication is open, the high flyers can shine while those who are not willing or capable of improvement have nowhere to hide. Finally, if a manager is unable to close the "gaps" found in partnership with their team then they must be held accountable. In practice, managers use their profile as a personal benchmark against which they can improve (assuming a degree of stability in the team). There is a good case study on the website describing the change that takes place: "Act on the Feedback, then Measure the Impact", and the later brief report "360 Feedback - it's hard to imagine the company without it". These are the first two articles on the page and they describe the work of Dave Burton with Royal&SunAlliance in New Zealand over several years. We put this together years ago. Makes the same sense now as then - want to sign up? You'll be your own witness. Spread the word. I commit myself to not putting unnecessary stress on others or myself. I will be aware of the way in which I approach others - my voice tone, facial expression, body language and gestures, and the words I use. If I have an issue to raise with anyone, I will do so by expressing my feelings first and what I am experiencing, avoiding telling the other person what to do, blaming them or making hostile or threatening implications. I will talk about the issue as I understand it, without exaggeration or denigration of the other person's position. I will seek to deal with my own stress rather than putting it on others, using whatever techniques I can - relaxation, meditation, exercise, walks, music, humour or whatever works for me. In the event that someone approaches me in a stressful way, I will do whatever I can to bring the stress to their attention - by listening to them with empathy, by simply noting the stress indications that I am aware of, by pausing or ending the conversation, or by acting in any peaceful way that works, being prepared to create an angry response only when I have tried everything else I know. "Let there be peace in this world and let it begin with me"
Permission granted to distribute freely, retaining our name. Here are some simple truths: Be a good listener. Don’t make excuses. Don’t pass judgments or make destructive comments. Say 'Thank you' and 'I’m sorry', and learn to ask for forgiveness. Too easy, is it? Well actually, not. It comes from Marshall Goldsmith's book “What Got You Here Won’t Get You There: How Successful People Become Even More Successful”. Of course, if being successful isn't for you, read no more! In reality so many of us don't even know what a 'good listener' does, we make excuses, pass judgements, are destructive, don't thank enough and even never ask forgiveness! It's true, we've all done it. But I can say that any of us who have been through Dr Thomas Gordon's Effectiveness Training courses have learned some better alternatives, both as managers and as parents - and often use them! Having spent years running such courses I have seen how rapidly people change in themselves and with others as soon as they have alternatives to the above "Roadblocks to Communication". So I immediately relate to Goldsmith's ideas. He also likes to use 360 degree feedback when coaching someone - again we are on the same track. His list of annoying workplace habits includes 'clinging to the past', 'playing favorites', 'withholding information' and 'failing to express gratitude'. All of these and others are to be found in the 360 Facilitated 'Leader/Manager Model'. We're on parallel tracks! He calls these sins 'transactional flaws' that make your workplace toxic. He also says that we tend to blame others for not understanding us. We learned this from Neuro-Linguistic Programming (NLP): "The meaning of your communication is the response that you get". Tough one to accept! Then he goes on to say that we can be so focussed on the goal we lose sight of the mission - and may totally defeat ourselves (like the exec overworking in order to enjoy a family). This again is pure NLP: first define your Outcome, then your goals must fit within it. This is also the key principle of Mega Planning where the Outcome is defined as the impact on Society and the Environment. Your success must fit within that or else it is going against it and therefore cannot be Sustainable. Goldsmith is one of the highest regarded (and paid) corporate coaches of our time and he says he gets all this from Buddhism. Which shows perhaps that it's in the air, breathe deep and go forward. 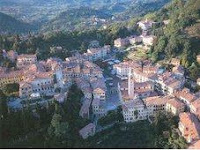 Imagine fifty-five open-minded, high-powered thinkers from the corners of the globe, coming together to build a better science of leadership by putting together what we know about the brain - integrating neuroscientific research (you can't fault them for the location they chose: Asolo, Northern Italy). "The Summit began with Arie De Geus, author of the Living Company. Arie explored how people think about the future, focusing on the role of language in giving us the ability to make decisions. While a senior executive at Royal Dutch Shell, Arie had built one of the first widescale scenario planning processes which became sought after by government and big business the world over...." This brought up the focus for the conference on how conversation, or in neuroscience terms, focusing attention, creates real physical change. "Dr Robert Coghill showed us how pain is an excellent model for exploring differences in experience, the so called ‘Qualia’ problem. Coghill illustrated experiments where the same pain stimuli were rated at from 1.8 to 8.9 on a scale of 1-10, showing how individual even the simplest experiences can be. He illustrated conclusively how a ‘dose’ of expectations can literally have the same impact on pain as a common dosage of morphine. He explored how we might set expectations more effectively based on his findings. This is an important area for further study". Next day came "Dr Yiyuan Tang, one of the most respected scientists in China, and the government representative on the human brain project. Dr Tang presented neuroscientific research showing how Eastern and Western brains process even the simplest events differently: Eastern brains focusing more on context and Western on detail ..." [This is indeed remarkable information]. Dr Mark Jung-Beeman then explained "how the quiet brain is more likely to have insight, and how people who were happier were having significantly more insights. He said he could tell even before a person began an exercise whether they were likely to have an insight or not, based on their brain patterns". David Rock said that "using a neuroscience theory base for leadership programs was contributing significantly to getting organizational leaders to focus their attention on human issues, and opening up new ways of thinking about driving change and learning. David then used the neuroscience presented to explain why our capacity to influence others is so low and how we can increase it significantly by better understanding the brain". Interesting? It certainly is if you're a manager - or just about anything else! Some case histories came up from places as diverse as World Bank, CIMBA (the sponsoring university), from children's schooling, EDS Technology, Electrolux Home Products. Siobhan McHale shared the ANZ Bank's journey to transform culture across thousands of employees in their 'Breakout' program. The latter is an Australian-New Zealand success story for Appreciative Inquiry (AI). Not so many years back, "holistic" was a far-out and esoteric word nowhere to be found in management literature, derived as it is from the same source as the words “whole” and “holy” and therefore suggesting something beyond the individual entity. Now we have holistic all over the place – even to the point of “wholistic” (sic) dentistry. In the manner of Fred Emery’s Open Systems, Garratt’s Learning Organization and Senge’s Fifth Discipline, we are encouraged to think further than the little bit of turf on which we stand. This broader way of understanding explains why so many worthwhile initiatives and restructures fail: they are overtaken by another part of the division, of the organization - or of the economy and society. They just didn't think that little bit further, in the US usually not beyond the three monthly reporting. It follows that before we undertake any initiative we should look at where the organization is headed. Otherwise, the little pocket of holistic thinking that we create in a team (the Micro level) can easily be engulfed by the sea of short-term planning around it that struggles myopically, at best seeking success at the Macro level. If we are really daring and truly aiming for long-term success, we should look at how the organization’s direction links to the society it inhabits and its sustainability. Yes, of course, that means we should begin by thinking Mega. Once there is a direction for the organization that accords with societal good, then you have automatically created something that everyone can align with, feel good about and be proud of – you have kindled the flame of loyalty and passionate involvement in your people. Our process of 360 Facilitated® is then simply a means (and we think a very good one) of making that happen by helping people understand one another, work better together, contribute and use the best ideas available, and help the organization (their organization) be successful. In this series we offered a brief article about rating managers as a means to improvement. It’s a good example of a non-holistic approach that hones in on just one subset of the manager’s behaviours. And it can have unexpected repercussions that range from knee-jerk reactions and camouflage to depression, revenge and retaliation. We began the series by suggesting that leaders develop best when they face up to the real world – the people they lead, the tasks they are responsible for. Also that they are accountable for the totality of what they manage – both the task and the people. This is a holistic process for building leadership. It also builds leaders within the teams as people who put their hands up, step forward and play their part. In Part II of the series we pointed out that this process is about overall performance improvement in which everyone (not just the manager) takes account of what must be done. The relentless monitoring of action plans ensures that these are completed (or updated and rewritten) and therefore lead to agreed results. Getting results is what we want and this is more important than the simplistic concept of putting numbers on managers. In Part III we suggested that giving people opportunity within their team structure and supporting their ideas and contributions is actually a form of action learning. You give them the chance plus the resources to do the job and they produce the results - benefiting the team and the organization. At the same time they benefit themselves professionally and personally as they grow into the task. We can't close without recommending that the organization continually measures its progress and prioritises its path to improvement within the framework of Mega Planning. For those of you asking to know more about Reversal Theory, also known as Motivational States Theory, this is leading edge psychology that takes account of the needs of people - especially the young - to 'live on the edge'. It offers an explanation of sky diving, bungee jumping, discos and drug taking. If we don't take account of the real need of kids for an exciting life and offer creative possibilities, then don't be at all surprised if the only thing we can do with them is put them on Ritalin or, if a bit older, in gaol. recognize the need for a reversal, and to change our states to respond to our needs – and those of others." As to the world of organisations: same thing. Make life interesting, fun, exciting for your people and they will stay with you and do their best. Source: Reversal Theory. I don't recommend the Home page, a lot of jargon, but this link and the website in general is very good. I was curious, thought it worth a moment to take a look. Then I noticed it was linked with Swinburne University of Technology (Melbourne, Australia), I looked further. Do you realise how much of our current organisational recruitment (and at times promotion) is based on the concept that humans have 'traits' and certain jobs require certain traits? That's how you get the best people? In his article "On a certain blindness in modern psychology" Michael Apter points out the fallacy in this approach and how it can tie people into ways of behaving that are not always theirs, or should not always be theirs, or that they would like to grow out of (and have to) if they are to progress. In contrast, Apter says that we live out patterns of behaviour, changing with our feelings and the situations we are in. We are not statues but dancers! The ‘certain kind of blindness’ comes from the great psychologist and philosopher William James. "A clinical implication is that there are two contrasting ways that one can employ in dealing with anxiety. The common assumption is that one must reduce arousal – whether this be through tranquillisers, relaxation techniques, biofeedback, or in some other way. But clearly there is an alternative: this is for the client to accept the level of high arousal that he or she experiences in certain situations, but to find a way of reversing the anxiety into excitement. For instance, in dealing with sexual dysfunction the aim should be to help the person to feel excitement, even ecstasy, in the sexual situation, not relaxation. In helping an athlete or musician or public speaker to perform well, we should help them to feel enjoyably aroused – since they probably need to do what they are doing with intensity – not be 'laid back'..."
It would be sensible to offer these ideas to the medicos who too readily dope our children with Ritalin, or treat many adult conditions as diagnosable 'problems'. In contrast, Neuro-Linguistic Programming (NLP) is so successful at helping people because it deals with the 'states' in which people find themselves at different times - just as Apter describes. Apter concludes that "There is evidence, for example, that people at work rarely want moderate arousal [this was demonstrated in a factory study back in the 19th century!] but switch backwards and forwards between wanting high and low arousal; that some problems are less easily solved if we take them seriously; that even in an unchanging situation people look for very different things at different moments; that it is possible to need hassle and stress; that in certain states of mind people can enjoy incongruity, ambiguity, confrontation and conflict." Leaders, managers - what's the difference? The argument goes on. Carol Lewis takes it up, saying that Max Landsberg, author of The Tools of Leadership sees "management and leadership as a continuum along which we progress from team leader to CEO. And there are times when leaders need to manage, and managers to lead. "Briefly the roles divide thus: managers control risks, use positional authority, operate within organisational boundaries, follow direction and like to establish order; leaders take risks, use personal appeal, challenge boundaries and seek opportunities, he says. "Three key things leaders do are: 1. Present good ideas (these are not necessarily their own) which are often outside their defined area of work but further the wider aims of the company; 2. Get other people to support their ideas. Pretty easy because the ideas are often what Landsberg describes as inevitable but unexpected why-didn’t-I-think-of-that? ideas; and 3. Have a broad network of contacts, both inside and outside the organisation, where they can gain inspiration and support." Carol Lewis accepts a definition that the adaptation of leadership style to the situation is 'authentic leadership'. Although the logic of this is not entirely clear, he goes on to say "Rob Goffee, Professor of Organisational Behaviour at London Business School, advocates authentic leadership in his book Why Should Anyone Want to be Led by You? He says that workplaces are full of cynical, disaffected followers who want leaders who inspire and excite. “People are fed up with being worked, they are fed up of management fads and want to be led by real people they can trust,” he says. [and that sounds authentic to me]. "Leaders who can be trusted are self aware and know what differentiates them from their colleagues (if you don’t, 360-degree feedback can help), they are not afraid to reveal their weaknesses and know how to adapt their style to different situations, Professor Goffee says. "Finally, he advises caution in choosing where [meaning in what environment] you want to lead: “The irony is that some big organisations say they want more leaders but their structures and cultures often... homogenise people. Leadership is about using our differences and humanity, but the organisation effectively kills off leaders and produces suits.” And who’d want to be a suit?" To which useful review I would like to add: everyone has the potential to be both leader and manager at some point in their job/role/life. To be continued! Our Accredited 360 Facilitated consultants know that when they take a manager through the Debrief Session, it’s helpful to get him or her to “map the benefits” they expect to gain from from the program. But then they take it one step further: they ask the manager to bring that map (on paper or PowerPoint) with them to the Team Session. When the team see it, there is an instant boost in morale. They realise that the manager really intends to improve how they work together, that s/he wants them to be part of it, and that valuing one another is going to be part of this process. The Facilitator often asks the team to add to it - which gives a boost to the manager's morale! It’s just one more of the ways in which we set up for a positive outcome! We see it as in line with the Appreciative Inquiry (AI) approach. Action learning is an exchange of gifts. Staff members (often young managers or trainees) give ideas and effort in the pursuit of an individual project that has real payoffs for the organization. The organization gives opportunity, encouragement and resources to make it happen. The results are: professional development and experience for the staff members; development in terms of improved performance and output, and a more skilled workforce for the organization. When the organization provides the opportunity, 360 Facilitated® will do precisely this. Managers learn by getting an accurate understanding of how their behaviour is affecting their team and what they can change. Teams learn by getting a better understanding of their manager and what responsibilities they can take on. Together they plan better ways to get the job done. While development for all parties is a major part of the process, the context for the whole exercise is task improvement. How can you be more cost effective than that? While Action Learning has usually been reserved for the young, 360 Facilitated® makes it available to all. Leaderskill’s motto has always been: “Letting your people contribute”. Yes, they would like to, why not lend them your ear? Some years back we were asked for a 20-item questionnaire that students working in groups could use, giving them insight into their behaviour in their group, an understanding of the value and use of feedback, and some awareness of the range of behaviours that fall within the scope of leadership and management. With Peter Farey’s assistance we created a questionnaire that includes the behaviours within the Leader/Manager Framework that are of most importance in group work. Perhaps the time has come to again put out this word of encouragement. We offer the profile at a minimal cost in the hope that we can encourage the growth of feedback in all areas of education. Those of you who are Adult or Accelerated Learners will agree that education without feedback is a contradiction in terms. Contact us if you would like to use this questionnaire – via Internet or paper. Pro bono fees. Warming 3 times faster than we thought. Global warming is accelerating three times more quickly than feared. Reports from the US National Academy of Sciences, show that "... carbon dioxide emissions have been increasing by about 3 per cent a year during this decade, compared with 1.1 per cent a year in the 1990s. "The significance is that this is much faster than even the highest scenario outlined in this year's massive reports by the Intergovernmental Panel on Climate Change (IPCC) - and suggests that their dire forecasts of devastating harvests, dwindling water supplies, melting ice and loss of species are likely to be understating the threat facing the world. "The study found that nearly three-quarters of the growth in emissions came from developing countries, with a particularly rapid rise in China. The country, however, will resist being blamed for the problem, pointing out that its people on average still contribute only about a sixth of the carbon dioxide emitted by each American. And, the study shows, developed countries, with less than a sixth of the world's people, still contribute more than two-thirds of total emissions of the greenhouse gas. The reports, coming before the G8 meeting put pressure on the USA to take real action - likewise on Australia. No one has demonstrated that putting numbers on managers is a reliable way to improve performance – any more than grades can be relied on to bring out the best in students. What does work, however, is feedback. Put managers in touch with the reality of what is going on and they almost always improve - which is what the numbers were supposed to do, but don’t. Why not? Because numbers don’t represent the complexity of the real world sufficiently well and because managers will do their best to fiddle numbers, but will usually accept reality – even if with some initial confusion. All right, I recant a little: sometimes in a really open environment managers handle the numbers well but conditions aren't always as good as you might imagine - and not for all the managers. And there still remains the problem of: "This is the rating I got - now what do I do?" The 360 Facilitated® approach brings a manager back to their team to face the reality of its concerns - perhaps the ultimate way to bring about change. But that change does not always have to come from the manager. We expect change to happen in the team too, and often in the organization and its procedures and policies - the environment in which managers must operate. We help to create an atmosphere of openness and dialogue with the team by keeping the profile confidential to the manager. The manager is committed to talking about it, but at least the profile itself is theirs. The 360 Facilitated® process succeeds in bringing real change and improvement quite independently of any manager appraisal process. If you want to link it the process to appraisal, you can’t use the manager’s profile. Why not? Simply because the profile is a product of team and manager in the context of the organization at a point in time, and the manager shouldn't be held accountable for all that. - the team suggesting a lot of change to a manager for problems over which the manager had no control – organizational issues. The link to appraisal therefore is not the profile, but the output - the actions that are agreed by all parties as a result. This is what the manager signs off on, and this can and should be part of the performance management process: “You looked at the real situation with the team, together you created action plans – now what’s the result?” If performance management is truly about getting results, then this is the result we should be measuring. Whether in sports or in business, teams exist to accomplish results. To do this they must be led and managed well. If you manage staff or lead a team, it will be helpful for you to know that there are at least 8 types of manager and 8 roles that managers can take in order to be effective with different groups. Knowing your preferred style, you will be able to understand how it matches with the staff or team that you lead. You may also be prepared to modify your usual tendencies in leadership and management in order to increase your success with your team or with any other group that you encounter. The Leader/Manager Types™ instrument requires that you score yourself honestly so that you can identify your personal style preference or ‘type’. There is no ‘right’ or ‘wrong’ answer or style. We are all different and our differences are a source of strength – when we understand and make use of them in teamwork. The short profile and graphic in this Leaderskill instrument will show you some of your assumptions, characteristics and beliefs, and help you work at your best with those who look to you as their manager or leader. The Leader/Manager Types™ profile will also help you understand both the successes you have encountered in the past, and the difficulties. It will suggest ways in which you can increase your successes in the future. The Leader/Manager Types™ instrument is the creation of Peter R. Farey, MA, former Senior HR Development Manager with British Airways in charge of corporate initiatives during its period of very successful transition in the 1980s. Farey was the originator of the Upward Feedback® process for managers in 1974, and of the Leader/Manager Model™ on which 360 Facilitated is based. Note that a similar instrument (Team Types™) is available for team styles and roles and has particular application to Self-Managed Teams. Ask Leaderskill Group for information on feedback profiles for managers and organizations. Ideas about leadership can be learned in a classroom but leadership only becomes part of the person when they are confronted by the real world, make choices about what they do and learn from them. If we accept Peter Farey’s definition of leadership as proactive, future oriented, changing beliefs and developing values, then the top half of his Leader/Manager Model is about that. If leadership is thought to be lacking in an organization, then what better way to find out what is missing than by asking those who are led! Of course, you’ll only get their perceptions (what else!) but can leaders safely ignore perceptions? If team members ask for more leadership, or less, then managers must act to change this perception – whatever the cause may be. And what better way to find the cause of a perception than ask the perceiver? The Leader/Manager Model has the virtue of raising the great body of leadership issues, both of leading the people and of leading the task into the future. Yet at the same time it raises the management issues – how the task is being carried out and the people dealt with – the issues that are in view right at the moment. The Leader/Manager Model is not one that suddenly discovered leadership as the new trend, another swing of the pendulum, and had to add it in to keep up. Because of its broad based, holistic nature, it has always (since Peter Farey first published it in 1988) stood for the balance of leadership vs. management, of future vs. present. In its 360 Facilitated® programs, Leaderskill Group makes this Model its prime approach to developing the relationship between team and manager. In the facilitation session, the invitation to the staff/team is to be open to all the issues. It takes a clearly structured process to build morale, develop understanding and address the central issues, leading them through to action plans and learning contracts. Facilitators demonstrate fast and effective leadership in the way they make this process sucessful, and encourage managers and team members to make the process their own. There is role modelling, learning and reinforcement. Yes, it is most certainly leadership development. The Leader of the Opposition in Australia is being called a fanatic for following goals that he says are along the lines of Arnold Schwarzenegger. You can find an overview of what the Governor of California is promoting from an article published in 570 News. Arnie signed an agreement with British Columbia (Western Canada) that "outlines key actions that California and British Columbia will take to reduce greenhouse gases and conserve the Pacific Ocean". This completes his West Coast alliance that already includes Oregon and Washington. Or you can check out the California Climate Change Portal where Schwarzenegger states that "Responding to climate change will not be an additional burden but will, in fact, promote economic development, ensure energy and economic security, and improve public health and safety". Then you tell them what came out of the team session, the real needs that were identified behind the perceived needs, the actions that both team and manager agreed to, the organizational learning for all involved that came out of it... And all this from a 6-hour process that is in fact learning on-the-job! Submitted by Phil Schluter, our Regional Consultant in Adelaide, SA. Thank you! What feelings do managers have when their staff rate some of their behaviours at work? At the very best, there is some apprehension. At the worst, individual managers have shut themselves up in their office for weeks, sought revenge, or left the job. Not infrequently, the whole group of managers has decided “not to pursue” 360 further. The word “360” has been tarnished as a result. What feelings do managers have when their staff suggest to them that they could do more or less of a full range of best practice management behaviours? Also some apprehension. Why? Because we often regard feedback as criticism (or praise) and fantasise about it if we don’t know the reason for it. Once we can sit down with the people who gave the feedback we can get past the fantasy and reach the facts. And what are the facts? They are not necessarily the items that respondents ticked off on a questionnaire – that, for example, people could work better “if there were more regular team meetings”. No, but such a suggestion does trigger a lot of ideas about the real requirements of staff to do the job better. What gap in results are we aiming to close? What hinders it and how can we do it – and the answer you find may not lie in holding more meetings. The approach that we are describing has been called an 'encounter with reality'. It brings everyone together to get past their usual judgements, perceptions and prejudices, and to work with the facts towards performance improvement. What almost always happens is an upwelling of enthusiasm for the job, and much greater goodwill between manager and team. And of course better performance. This is the approach known as 360 Facilitated®. Measure people or measure needs? With 360 Facilitated, we have made a sacrifice. We have given away the ability to stick numbers on people and say “this person rates 4 on our scale, as measured by staff, peers, etc.” We've gained the ability to say “We are able to measure how this team is performing in terms of outputs and performance indicators that have been agreed by all parties”. As a result, we create an open and enthusiastic environment with lower stress and greater productivity. So do we really want to rate? Do we want to put numbers on people - or is our real intention to get results? Take some inspiration from the Sustainability Victoria (Australia) website. It seriously encourages people at home, in business and industry to take practical steps towards sustainability. Well worth a browse. Victoria is significantly ahead of New South Wales which has just gone through a major restructure, presumably to catch up. We now have a Minister for Climate Change, Environment and Water. Watch this space - or their space!